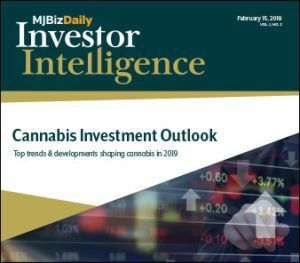 As part of your exclusive free preview to Investor Intelligence, you will get access to a limited number of investing newsletters with crucial insight, data and analysis needed to navigate the cannabis landscape. 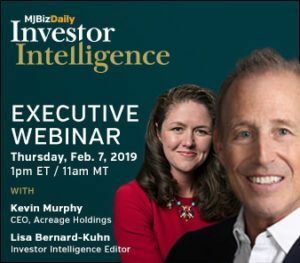 Subscribers will also receive invitations to join Executive Webcasts with industry experts and cannabis investing thought leaders, as well as comprehensive quarterly reports with inside-track guidance. Premium subscription for highly qualified investors begins March 1. 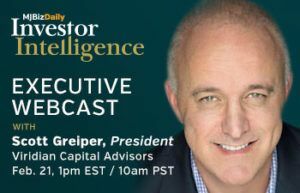 Subscribers to Investor Intelligence will receive monthly invitations to join Executive Webcasts with industry experts and cannabis investing thought leaders, plus get comprehensive planning reports with inside-track guidance delivered straight to inboxes each quarter. See for yourself with these free samples what a premium subscription can do for your cannabis investing strategy. Scott Greiper, president of Viridian Capital Advisors, takes a data-based approach to cannabis investing plans for 2019. 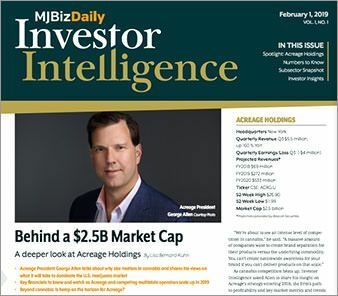 Acreage Holdings CEO Kevin Murphy answers your pressing cannabis investing questions. Get high-level analysis of top investment trends in the U.S., Canada and emerging international markets.